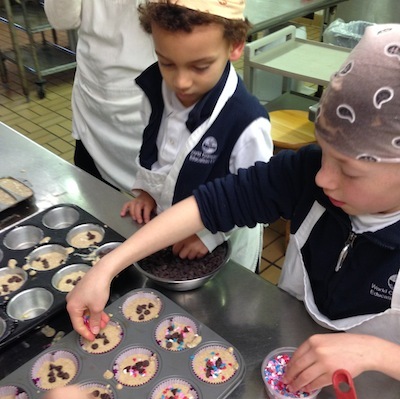 Maria Montessori’s emphasis on “Practical Life” activities such as baking helps the elementary school child develop confidence in their ability to create out of many ingredients a whole (and hopefully tasty) product. 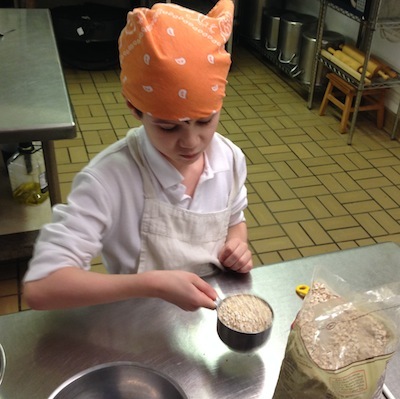 Utilizing math and language skills in reading the recipe and carefully measuring ingredients, as well as the gross motor skills of stirring batter and carefully spooning and shaping, all are part of the “lesson”. 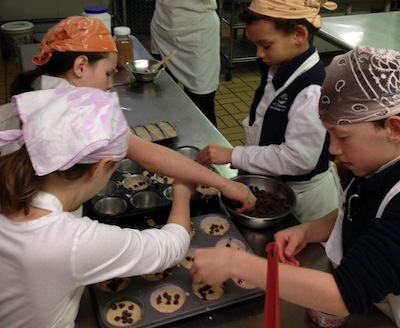 Children love the opportunity to bake and it is a wonderful time to spend time with each other outside of the classroom, while still in a learning environment. Especially good snack in cold winter weather! Great post! 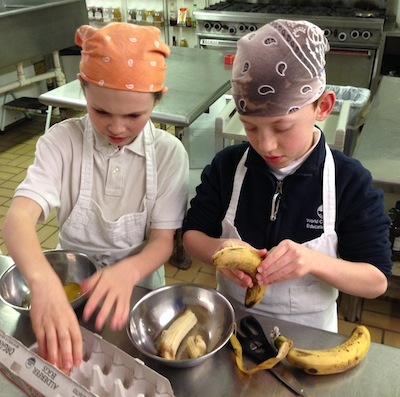 As a WCEC supporter, I really appreciate these glimpses into the schools multi-faceted learning environment. And as a cook, well, I know too well the importance of basic math. Thanks for the recipe – I will try it! One of the greatest needs of children today is to spend more time in the three dimensional world.It is nice to see this happening. The children seem very interested in what they are doing, and confident. Great photos and my son really enjoyed his muffins!! Looks like a ton of fun! Thanks for the WCEC update. Great photos! 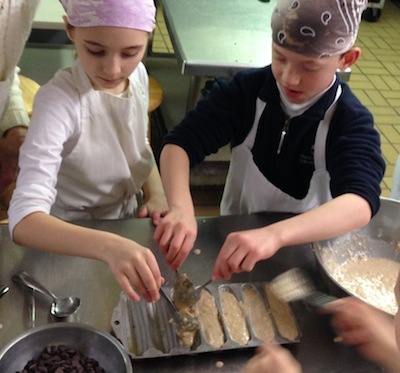 They look like they are really enjoying the activity and I am sure they loved the cookies! Thanks for providing the recipe.